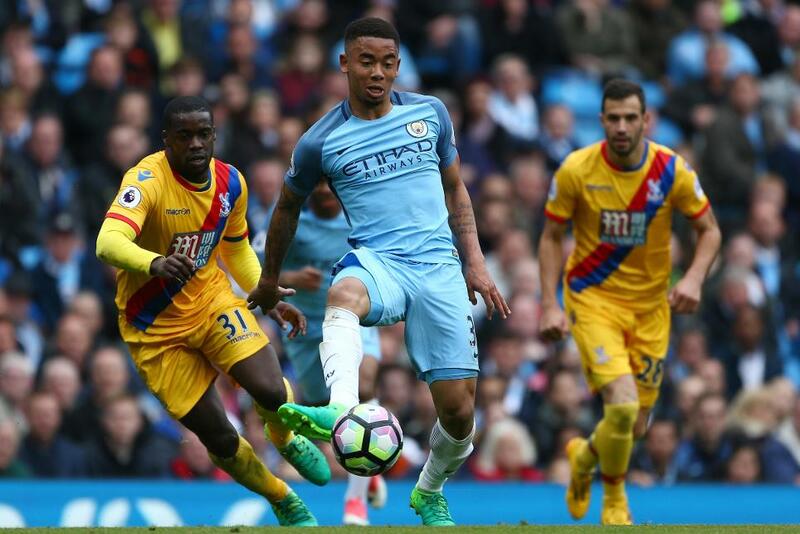 Gabriel Jesus (£8.9m) is among the leading Fantasy Premier League captaincy options as 10 teams prepare for a pair of Gameweek 37 fixtures. ﻿Manchester City are the only side with two home matches, welcoming Leicester City and West Bromwich Albion to the Etihad Stadium. Jesus has averaged 7.2 points per start since arriving in January and, for the second successive Gameweek, has been the most popular FPL signing, being acquired by 149,000 new owners ahead of Friday's 6.45pm BST deadline. His team-mate, Kevin De Bruyne (£10.4m), offers a convincing armband alternative. The Belgian produced 17 points in the 5-0 home win over Crystal Palace in Gameweek 36 - his second double-figure haul in four appearances - and has been acquired by 85,000 managers since. Chelsea's Eden Hazard (£10.6m), Diego Costa (£10.5m) and Marcos Alonso (£6.8m) make their way to West Bromwich Albion before entertaining Watford on Monday evening. Hazard has improved his consistency as Antonio Conte's side edge towards the title, with attacking returns in seven of his previous nine Gameweeks. Second only to Jesus for transfers in since last Friday's deadline, Costa has registered three goals and as many assists in five. But wing-back Alonso has mirrored Costa's 5.8 points per match this season to emerge as the top-scoring defender. Nonetheless, FPL managers should be wary that, should Chelsea seal the title with victory on Friday evening, Conte could rotate his line-up for Watford's visit. The top-scoring player in FPL, Alexis Sanchez (£11.6m) has found the net only twice in his last eight league outings. But after returning to the scoresheet and producing double-figures in a 2-0 midweek win over Southampton, Sanchez visits Stoke City and entertains Sunderland as Arsenal push for a top-four finish. Tottenham Hotspur trio Harry Kane (£11.7m), Christian Eriksen (£8.9m) and Deli Alli (£9.2m) host Manchester United and travel to Leicester City in midweek. Alli has returned points in eight of his previous 10 appearances, while Eriksen's total of 10 double-digit hauls this season is more than any team-mate. Kane has delivered seven goals and three assists in his last six outings, with his season average of 6.5 points a match matching Sanchez as the top outfield player. The Spurs striker's rival for the Golden Boot, Romelu Lukaku (£10.2m), has only one fixture, Everton's Friday home encounter with Watford. Three goals ahead of Kane, the Belgian has 13 goals in his previous nine at Goodison Park and returned 12 points against Watford in Gameweek 15.